Instant Dhokla/Steamed Savoury Cake and Award!!! Upma Kozhakattai with Moong Dal!!! 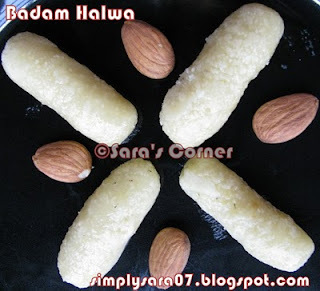 I prepared Badam Burfi after tasting it in my friends place, but that was different one. I tried this simple Badam Burfi. Hope you like it. 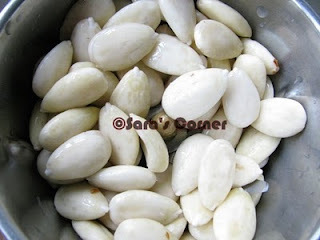 Soak Badam for 1hour in warm water and remove skin. 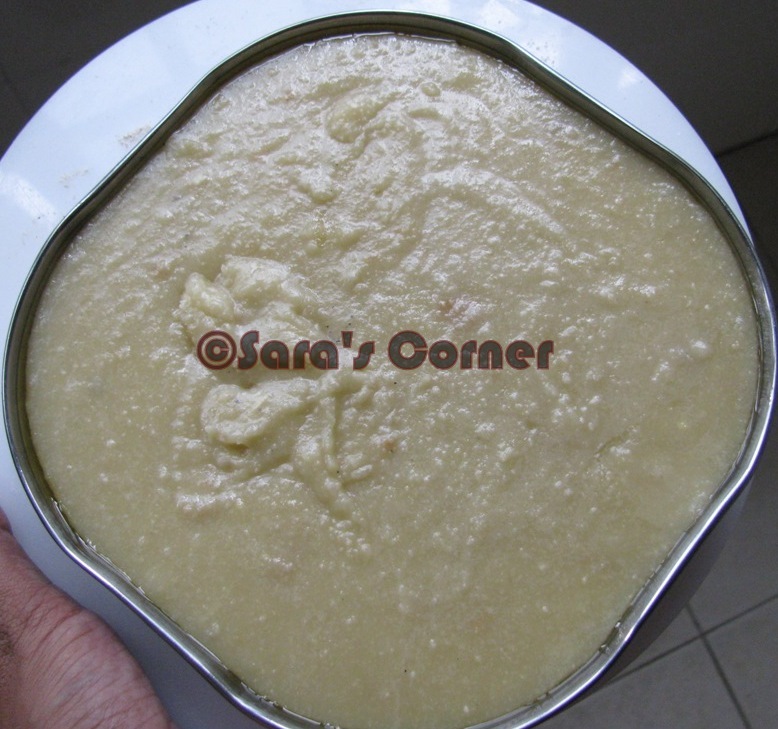 In a mixie/blender, add badam and grind to fine paste. Heat a kadai, with 1 tspn ghee, add badam and cook for few minutes in low flame. Add sugar and mix well. Keep stirring, add elakka podi and little ghee. Stir till it doesnt stick to kadai and becomes thick like other burfi. Grease a plate with little ghee. Pour and flatten it. Allow it to cool. Cut into desired shapes or roll out. Almond burfi looks so tempting !! nice presentation !! 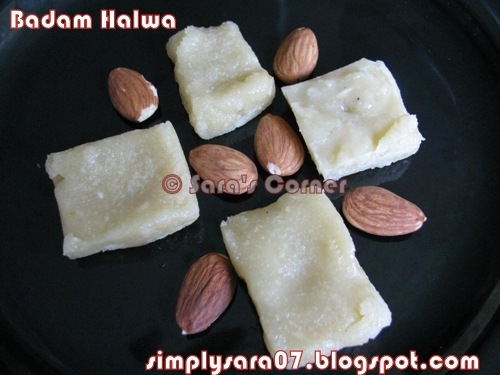 Looks so soft Y& mouthwatering...Loved the texture of the halwa..
Rich and delicious burfi,feel like having some..
wow..lovely sweet looks so delicious !! wow...Looks so tempting...Thanks for sharing.. The badam barfi looks deliciously creamy. My MIL is an expert in this burfi making,loved ur recipe too!